Saks Fifth Avenue is retail store operated by Saks Fifth Avenue Enterprises, a subsidiary of Saks Incorporated. The company was founded in 1898 and has its headquarters is situated in New York, United States of America. The company provides luxury items such as women apparel, shoes and handbags, jewelry and accessories, beauty and fragrance, sling bags, hair accessories, men and kid apparel and accessories. The company has stores located in Alabama, Arizona, New Jersey, New York, North Carolina, Ohio, Oklahoma, Oregon, Pennsylvania, California, Colorado, Connecticut, Florida, Georgia, Illinois, Indiana, Louisiana, Maryland, Massachusetts, Michigan, Missouri, Nevada, South Carolina, Texas, and Virginia. There are currently 0 consumer reviews about Saks Fifth Avenue available. Share your review. Please take a note that you are about to post a public review about Saks Fifth Avenue corporate office on CorporateOffice.com. This review will be public, so please do not post any of your personal information on this website. 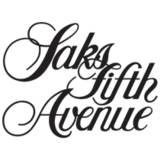 If you would like to contact the corporate offices of Saks Fifth Avenue, please use their contact information such as their phone number, website, and address listed above to contact them. However, sometimes staff from Saks Fifth Avenue headquarters do read the reviews on this website.